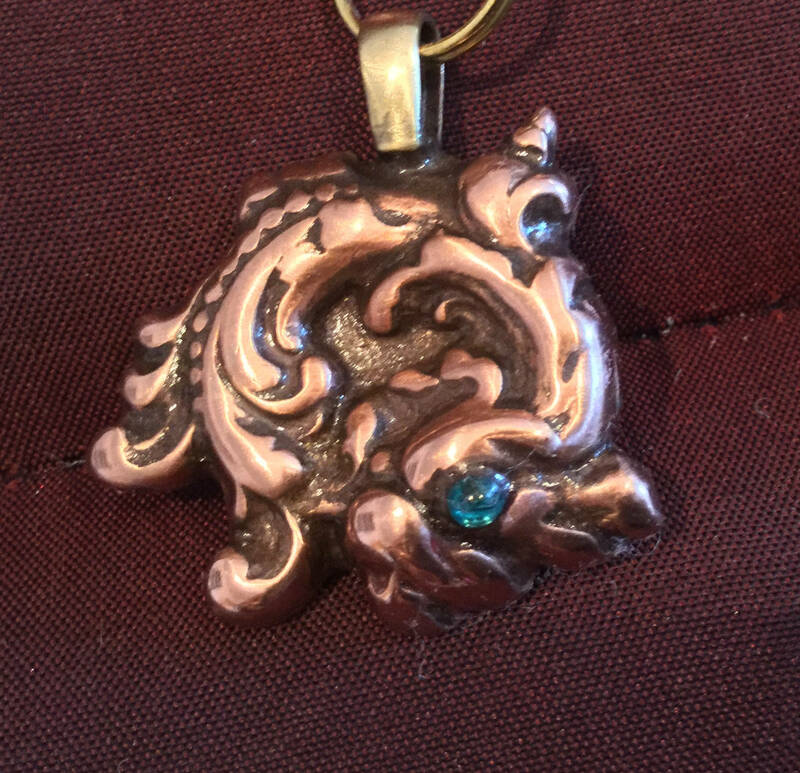 B163. 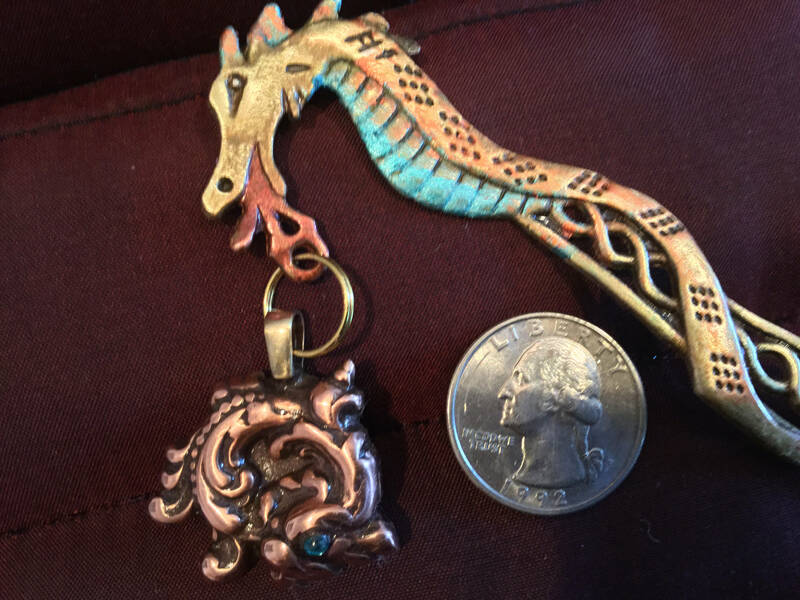 DRAGON copper charm with a green Swarovski Crystal for his eye. 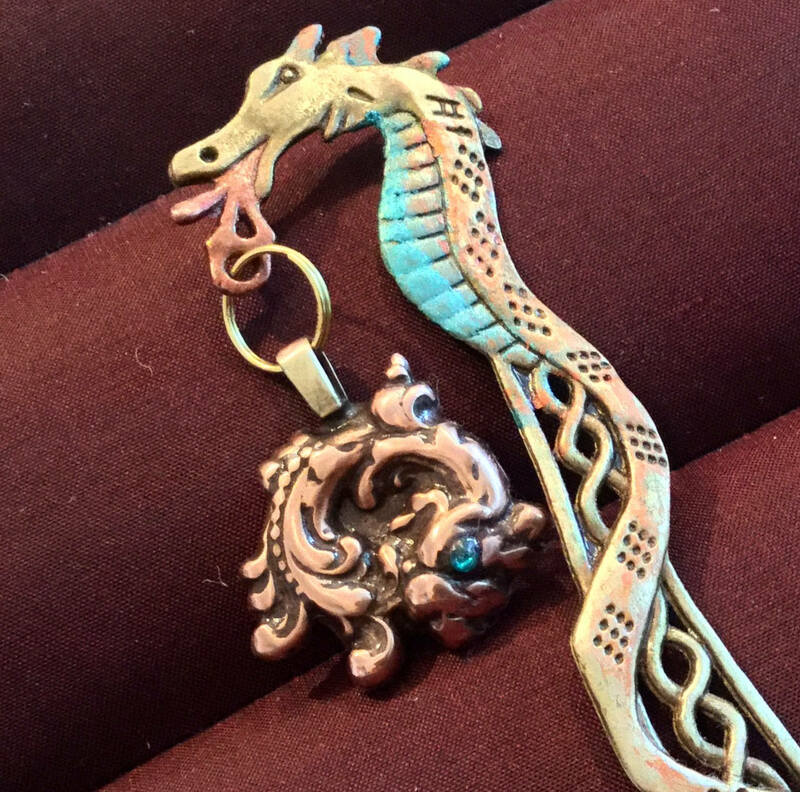 The Chinese dragon is hung from a most unusual bookmark shaft that is in the shape of a Dragon. 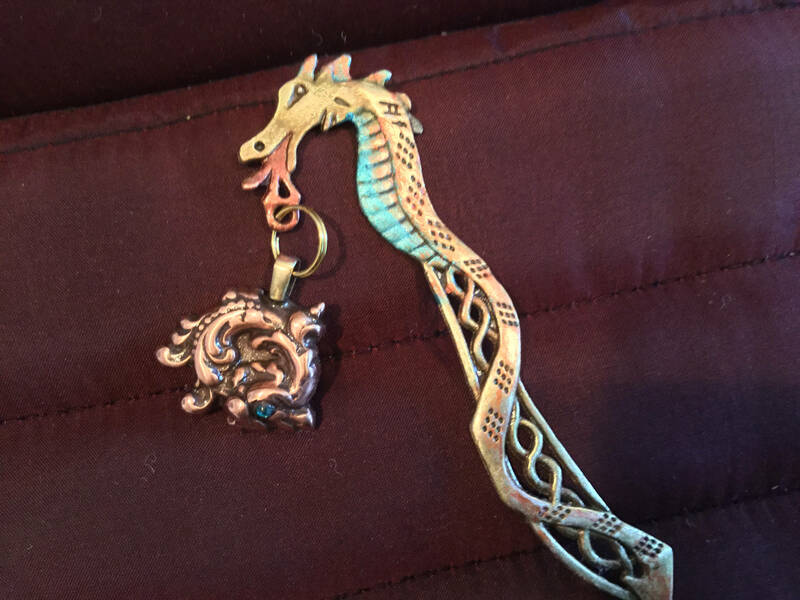 The dragon shaft is further enhanced with green and blue iridescent jeweler's dye. 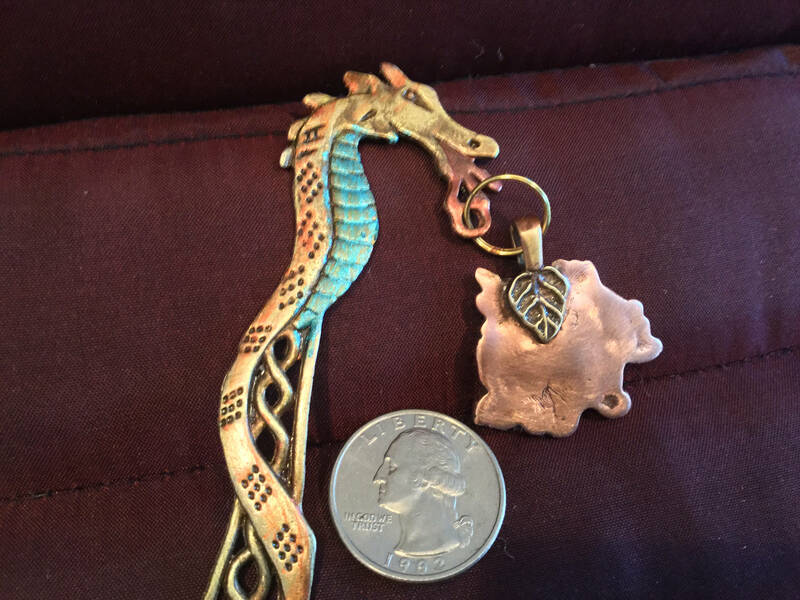 This is a striking piece and one of a kind. 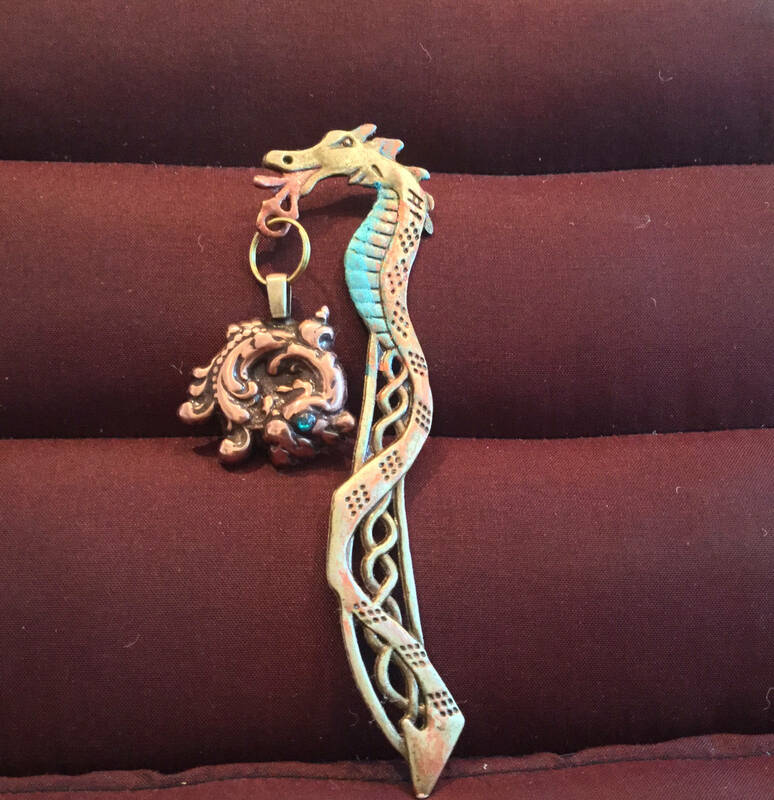 If you love dragons - this is a must have! 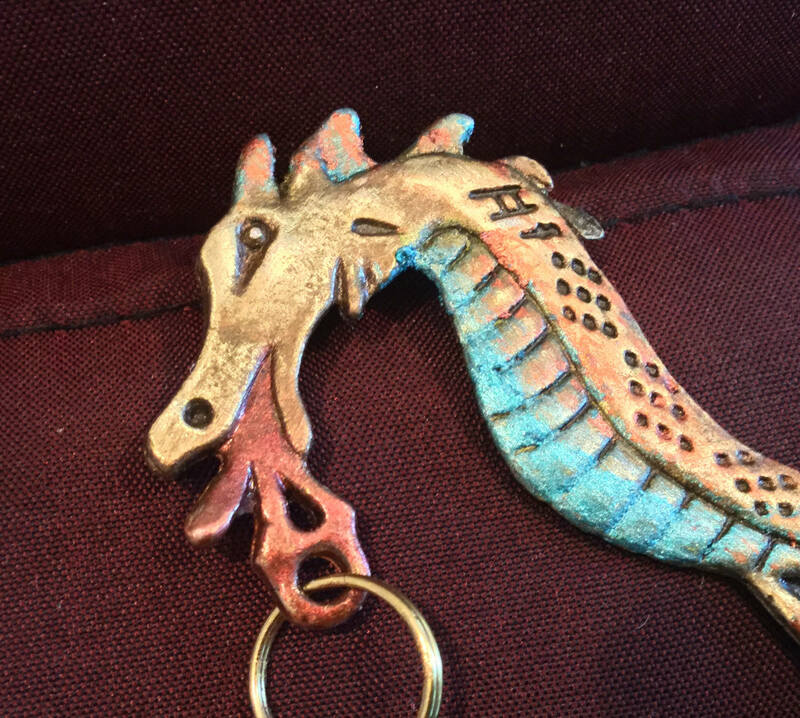 This hand crafted Copper bookmark would be great for the reader, teacher, librarian, and all those who love books. 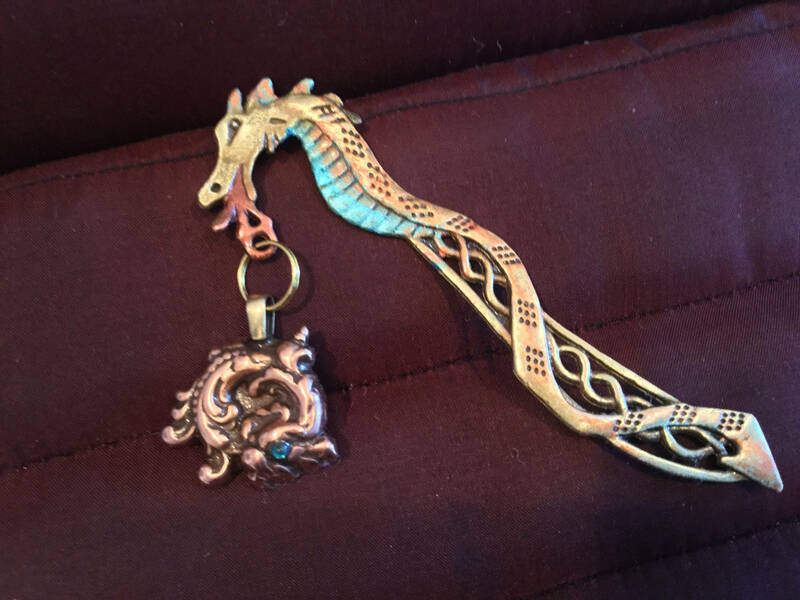 It's whimsical but very useful and perfect for the dragon collector.